In Proscenium, our official Motto is “Omnes Partes Agimus” which has two possible meanings: “We play all parts” or “We all play our part”. This reflects the team spirit and enthusiasm that goes into a theatre production or into our lodge. With the proscenium arch of the theatre in the centre, the motto appears on the lodge logo and banner, referring to the lodges entertainment theme. We like to “Put the Fun in Fundraising”- we endeavour to entertain our visitors and members when dining at the after-proceedings to our lodge meetings, and our traditions reflect this aim. In the early 1980s, a group of distinguished Cardiff Freemasons were keen to form a lodge with members connected to entertainment. 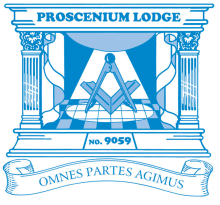 Proscenium Lodge No. 9059 began in 1982 and continues strong and true to form. 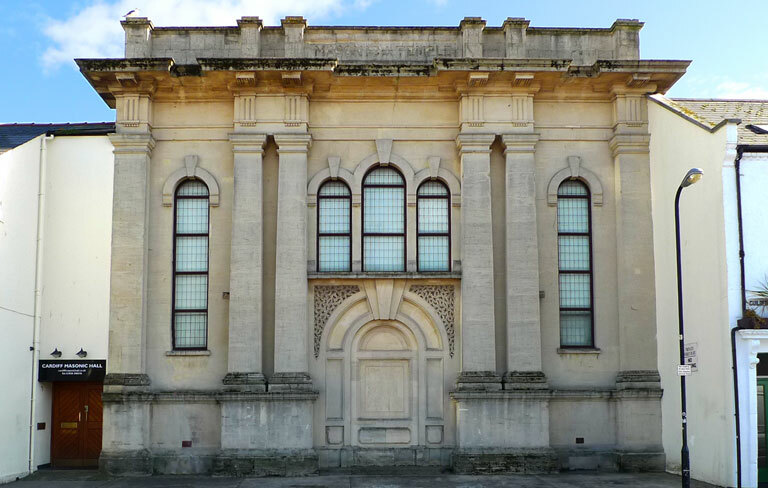 Masonic Temple, Guildford Crescent, Cardiff, CF10 2HL.